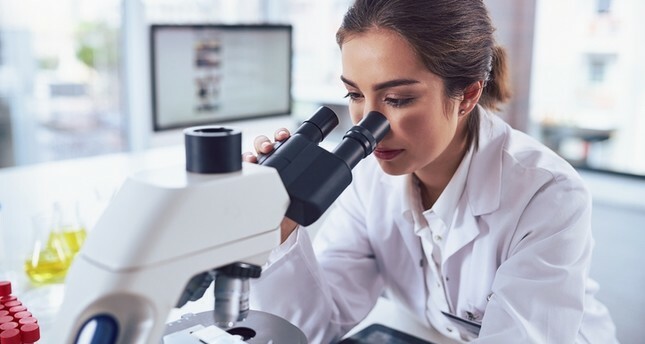 According to new data released by Eurostat, women constitute 45 percent of scientists in Turkey operating in the fields of research, technology, health, engineering and R&D – exceeding the EU average of 41 percent. Turkey has a better record than most European Union countries – including Germany, France and the U.K. – in terms of the percentage of women working in the fields of research, technology, health, engineering and R&D, recent data released by Eurostat shows. According to 2017 education data released by Eurostat on EU members and partner countries, the proportion of female scientists and engineers in Turkey was 45 percent, exceeding the EU average of 41 percent and outpacing Germany, France and the U.K.
EU member countries had a total of 7.1 million women operating in the fields of science and engineering in 2017, according to Eurostat. Only five EU member states had a female majority among scientists and engineers – Lithuania with 57 percent, Bulgaria and Latvia both with 53 percent, Portugal with 51 percent and Denmark with just over 50 percent. Less than one third of scientists and engineers were women in Hungary and Luxembourg – both with 25 percent – in Finland, with 29 percent, and in Germany, with 33 percent. Commenting on the report, European Women Rectors Association President Gülsün Sağlamer told Hürriyet newspaper that Turkey, since the founding of the Republic, has given special attention to the participation of women in the fields of science and engineering, propelling it into its position today. Sağlamer cautioned, however that Turkey should not allow its achievements to develop into complacency. "Europe is aware of the deficit and tries to close it with great incentives. Turkey must work to increase the proportion of female researchers and engineers. As European countries take big steps to close the gap, Turkey should not wait in its current position," she said, noting that the proportion of women in decision-making positions remains low.